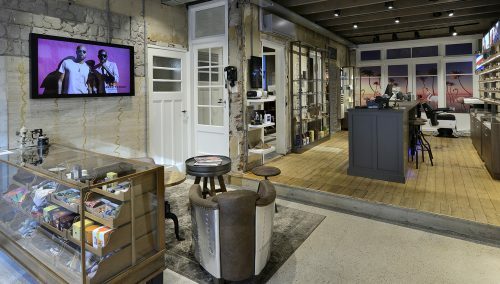 The retail designers were instructed by Pieter Verweij of Kieft Opticians to create a fully new and inspiring redesign of the store. In close consultation between Pieter and Rick Blankenstijn, an inspiring moodboard was created. many of those ingredients were integrated in the final version – the store actually literally smells of pie! Other ingredients were dropped. It was a feast to design this concept for Pierre Eyecare. 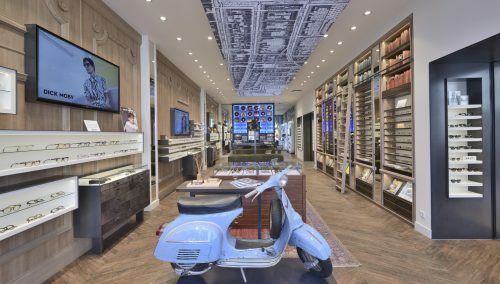 The focus was on ambiance and a fashionable spectacles experience. Trendy, not boring, reliable and very good. Additionally, Pierre Eyecare focuses on fantastic quality of the glasses (in this case by Zeiss), and reliable analyses and eye measurements. This is why the measuring rooms were a special point of attention. With the various spaces, Pierre Eyecare is developing into a regional eye care centre of the North-East Veluwe region in the rectangle between Apeldoorn, Deventer, Zwolle and Nunspeet. Pierre Eyecare is your address for eye measurements, optometric testing, contact lenses, spectacles and advice about eye lasering. Inspiration? Experience? Do you plan to renovate your shop? Where would you like to be in 5 to 10 years? What does the playing field of eyes, spectacles, customer and retailer look like in your area? Call WSB for an inspiring and non-binding brainstorm session on 31 332771714. 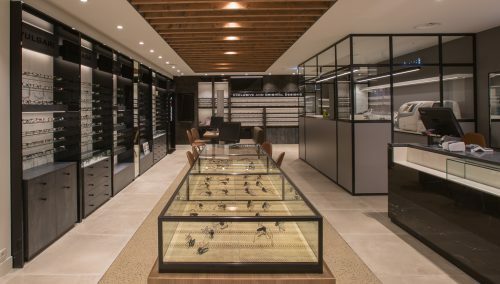 For a progressive store concept of your optician store.